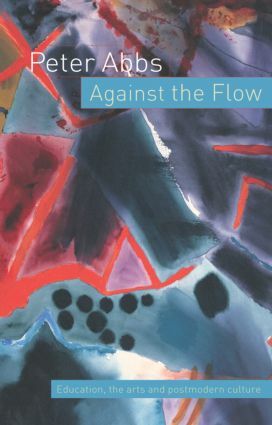 At once provocative and inspiring, Against the Flow is a work of polemic from an internationally respected writer and thinker on arts education. Peter Abbs argues that contemporary education ignores the aesthetic and ethical as a result of being in thrall to such forces as the market economy and managerial and functional dictates. He identifies the present education system as being inimical to creativity and authentic learning and instead, narrowly focused on the quantitative measuring of results. This absence of a creative and ethical dimension in education has implications for art making in wider society. Art is shown as emerging from, and appealing to, the ironic postmodernist sensibility and mass media-led culture, while being devoid of philosophical significance. This book opens up a fresh and timely debate about the vital power of creativity in modern education. Drawing on examples from modern poetry, literature and visual art, it is an eloquent and passionate argument for the need to develop ethical and aesthetic energies to confront the growing vacuity of contemporary culture.